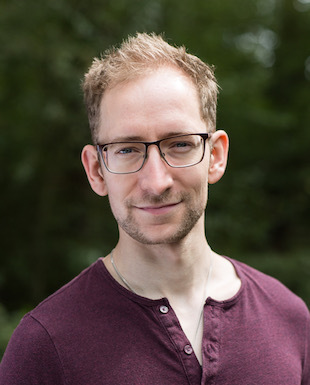 Daniel is a London and Midlands based Musical Director having studied at Mountview Academy of Theatre Arts following his Sport & Exercise Sciences degree at The University of Birmingham, majoring in cardiovascular & respiratory physiology. Daniel is heavily involved with new musical theatre writing and particularly with actor-musicianship. Recently he was MD on the Hope Mill production of The Return Of The Soldier and tour, and co-wrote, orchestrated and developed the London fringe hit Paper Hearts; and is now working on The Bow Maker: a new musical by Finn Anderson and Tania Azevedo in collaboration with The National Theatre of Scotland. This year he has worked on a large number of new writing workshops; including Poppies, 1446: A Korean Musical, The Lost Ones, The Witches and The Singing Mice and Half-Broken Things. He was also involved with 3 different projects at this year’s BEAM 2018 for new musicals. He works with NEXT UK: a concert series showcasing new musical theatre writing in London. Other professional credits include: Songs For A New World, Hello Again, Rent, Loserville, I Sing and Into the Woods. As composer and sound designer Daniel wrote and arranged for Staffordshire University’s 3rd year Shakespeare public performances: A Winter’s Tale and As You Like It. He also teaches at ‘The London School of Musical Theatre’ as an external MD. Daniel works as a vocal technique coach and takes audition workshops and private 1-to-1 sessions across the country.